Today we are sharing a fun balloon card by Holly! She cut out that big balloon and bow from white cardstock using our Balloon Shaker Die Set. She added color to the balloon and bow using distress inks! 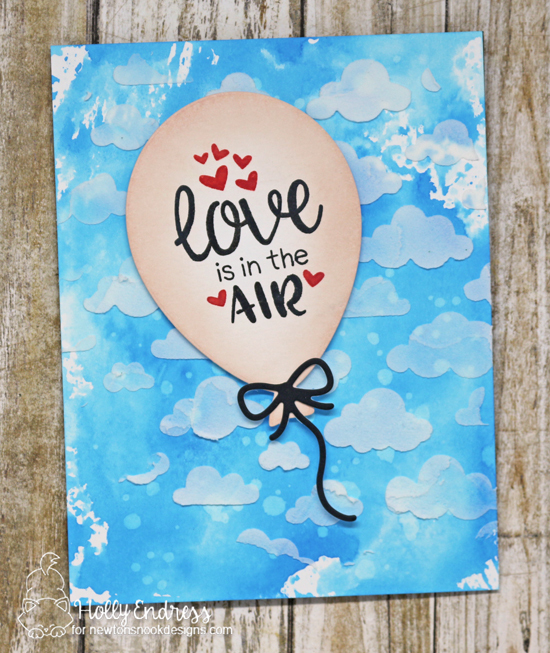 Next she stamped the "love is in the air" sentiment from the Uplifting Wishes Stamp Set onto the balloon using distress inks. For her card background she created a fun inked background using distress inks and then added clouds over the top with our Cloudy Sky Stencil and some white embossing paste! such a cute card! I love the textured background!